Gouache on paper of Krishna sold for £9500 at the Moore Allen & Innocent July 20 auction. Consigned from a local deceased estate to the sale on July 20, the group was bought by an Indian buyer. 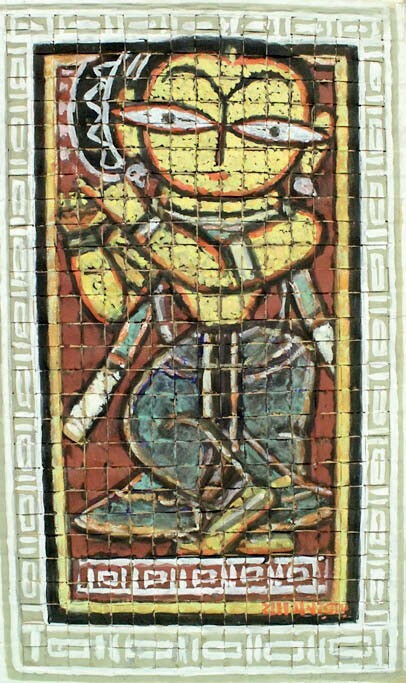 A 2ft x 15in (63 x 37.5 cm) gouache on paper of Krishna led the way (above), nearly doubling its top guide to sell for £9500. Trained in the academic Western tradition, Roy abruptly changed his style in the 1920s to focus on his own culture, creating works inspired by Bengali folk and tribal art.